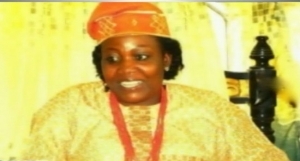 The regent of Akungba-Akoko, Oluwatoyin Omosowon, has been rescued by security officials in Edo State. She was kidnapped on June 2 alongside three others in her car while on their away to Akure, the Ondo State capital for a lecture at the Federal University of Technology. The Commissioner of Police, Ondo State Command, Mr Isaac Eke, confirmed the rescue to Channels Television but could not give further details on the operations.